Does a Loss to Miami Mean the Axe for McCarthy? 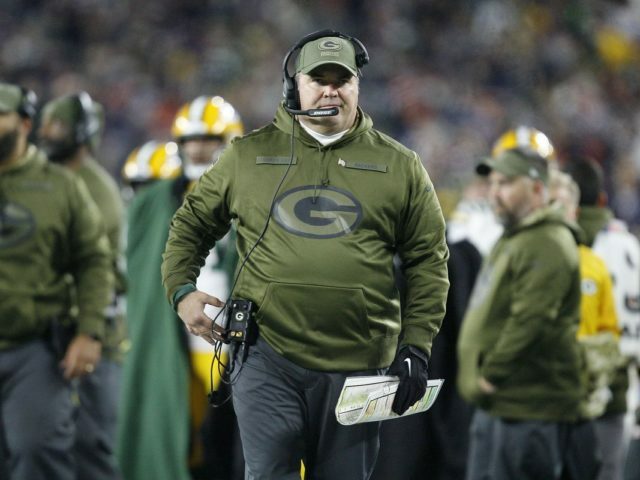 Packers head coach Mike McCarthy is probably walking on eggshells roaming the halls of Green Bay’s facilities these days. His GM Brian Gutekunst has proved over the last two weeks he’s not afraid to cut anyone loose over lack of performance. First, running back Ty Montgomery and safety Ha Ha Clinton-Dix were traded last week due to inconsistent play and expiring contracts. Then, safety Jermaine Whitehead was released on Tuesday following an ejection from Sunday’s game against the New England Patriots. Gutekunst told reporters the Wednesday after the trade deadline he didn’t believe in sending his team messages, however, his actions tell a different story. The biggest message any general manager could possibly send is the firing of a head coach mid-season. Could a loss to the Miami Dolphins on Sunday put McCarthy squarely on the chopping block? Given the current state of the organization it doesn’t feel out of the question. A loss to Miami in week 10 would mark the first time since 2016 that Green Bay lost three regular-season games in a row with a healthy Aaron Rodgers. It was after the fourth consecutive loss that Rodgers declared he believed the offense had turned the corner and could possibly run the table for the rest of the year. Of course, the rest is history as Green Bay went on to win six straight and reach the NFC championship. 2018 feels like a new era though with a new sheriff around in Gutekunst. The offense doesn’t appear close to turning things around and the frustration from both Rodgers and McCarthy continues to gain traction. While McCarthy may have the most talented QB in today’s NFL, the execution doesn’t reflect it. Too often are receiver’s routes slowly developing and it doesn’t help that Rodgers seems to be indecisive with his reads. With another loss, the Packers will be further behind the Minnesota Vikings and Chicago Bears in the division and closer to another season ending in no playoffs. And while waiting until season’s end to clean house is probably the better approach, Gutekunst appears trigger happy with his current decision making. If he continues the trend of rebuilding the roster it will only be a matter of time until it reaches the coaching staff where no one is wearing a larger target than McCarthy. Winning cures a lot of problems so maybe this is all for nod, however, one more loss may force Gutekunst’s hand. This entry was posted in Brandon Carwile, Packers 2018-2019 Season, Packers News and tagged Brian Gutekunst, mike mccarthy, Mike McCarthy fire, Packers offensive struggles, Packers vs Dolphins 2018. Bookmark the permalink. If the Packers lose to the Dolphins at home it means they have little chance of beating Seattle & Minnesota on the road. And in that case, their season is over. Letting McCarthy go mid-season might allow them the possibility of trading him to a team like Cleveland and getting more draft picks in return in order to rebuild the team. If GB loses this game, then IMO they’ve given up on the coach and on the season. It’s a known fact in sports that eventually players “quit hearing the voice of the coach”, after having been exposed to it for a long time. Look at the difference between having Pettine and DOM Capers. You can make a point that Pettine in some cases might have less to work with, but better results. I think everyone knows this teams offense and play calling tendencies, and it’s not going to get better, and in fact has gotten worse. Plus you have MM saying things like he will never again relinquish play calling, which in this case is a problem, because every fan, every team, every opposing coach, knows what he’s going to do before he ever does it. We’re just lining up and running the same BS every week. Want to see the modern NFL, go Watch NE, KC, Philly, and Rams, etc.. By contrast, this team is so far from competitive and creative on offense, that at this point it’s somewhat embarrassing. Man Joe Philbin’s lack of making any difference at all? Wow! Has his side of the coaching change been disappointing or what? And Mike McCarthy and his running back by committee BS, wow! It’s no wonder we’re not competing! Instead we’re fielding a lousy product! 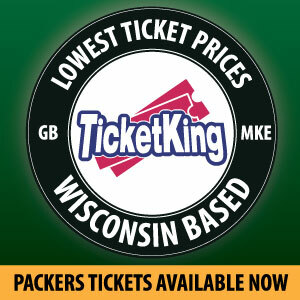 The Packers aren’t worth watching this year, they’re a drag! FYI, Gute cannot fire the Head Coach. That power was transferred to Mark Murphy when Gute was hired.